I finally took the time to contact Dr. M for our neutering schedule. Officially, the medical term used for the surgical procedure of removing the dog's testicles is castration. Puppy Brown resting at the vetties...Ready to go home. 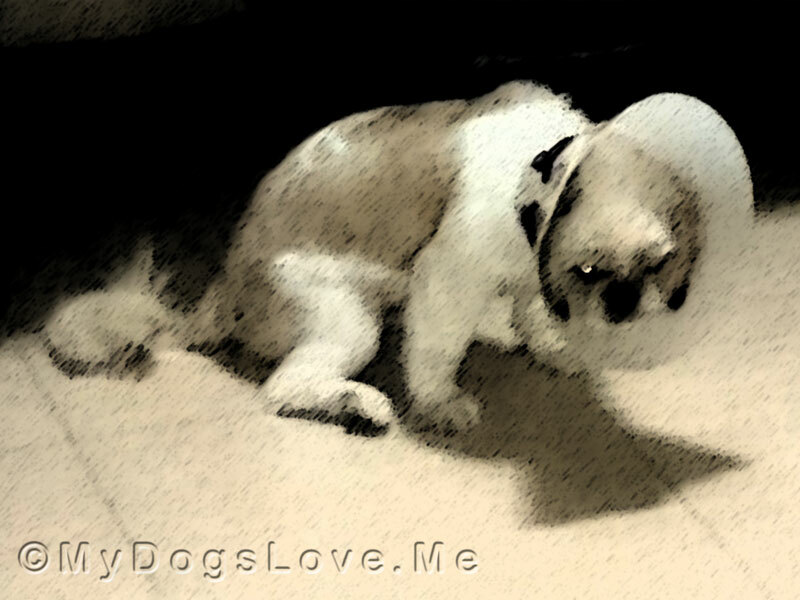 Poor Puppy Brown must have felt the heavy loss of his balls because he came home like this. "You stole my balls," says Puppy Brown with a vengeful glare. This is probably the after-effect of the anesthesia given to him while his little boy part was incised to remove the you-know-what. The poor little guy hung his head like an injured soldier. In this procedure, Dr. M did three tiny stitches to close the exit point. Our next visit is due on the 21st to have the stitches removed. Hopefully, within that said period, the antibiotics and Betadine will do its charm on keeping him infection-free. First of all, it's not as bad as it sounds. I know there are still dog lovers out there who don't understand why my purebred dogs don't get bred. My answer is simple: I don't believe it's necessary. I used to think it was a great money-making scheme. 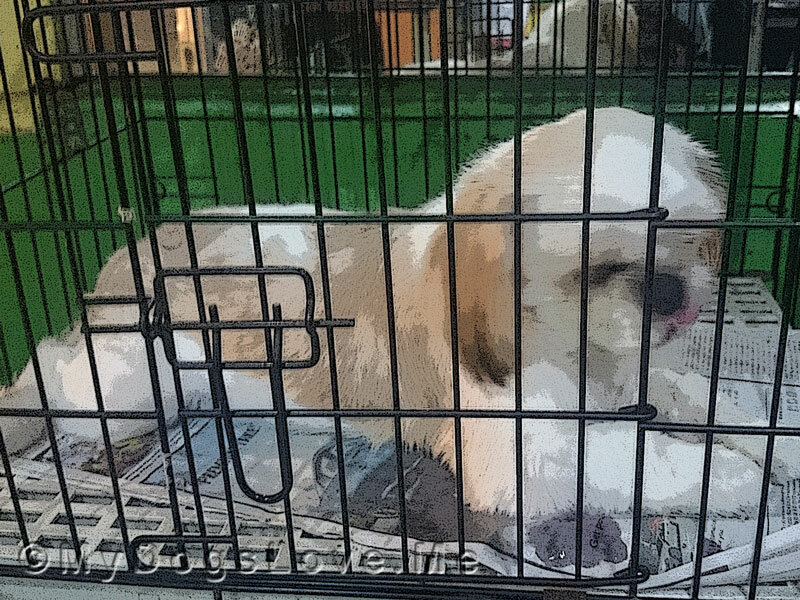 Then, I got myself educated and realized that I'd be a hypocrite if I said I would be a good breeder and dog-lover if my purpose was to mainly earn from it. 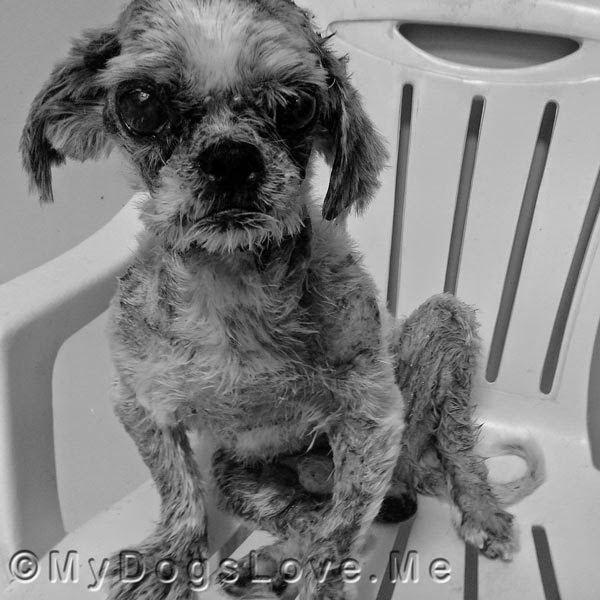 Even though we've been bringing him to the vet constantly, changing his diet to our best capacity, and providing him with all his physical needs, we still lost him to a condition we still don't understand. Also, given Buchi's history, I'd be damned if I allowed his hereditary issues to transfer from one generation to another. A lot of people are saying, "Sayang" which means "It's such a waste." I beg to differ. Puppy Brown lives with Asti. All our female dogs are intact and I want to keep them that way for now. Perhaps my main reason for choosing to have him castrated was convenience, but I would rather be safe than sorry. Raising puppies to dogs--ensuring they're well taken care of--is a big responsibility. I don't want to end up with puppies whose futures aren't secure. Bottom line, whatever you choose, don't just choose for yourself--for your convenience, but also for the betterment of your dog. Research on neutering, spaying, and castration. As for this pack, those balls have to go. 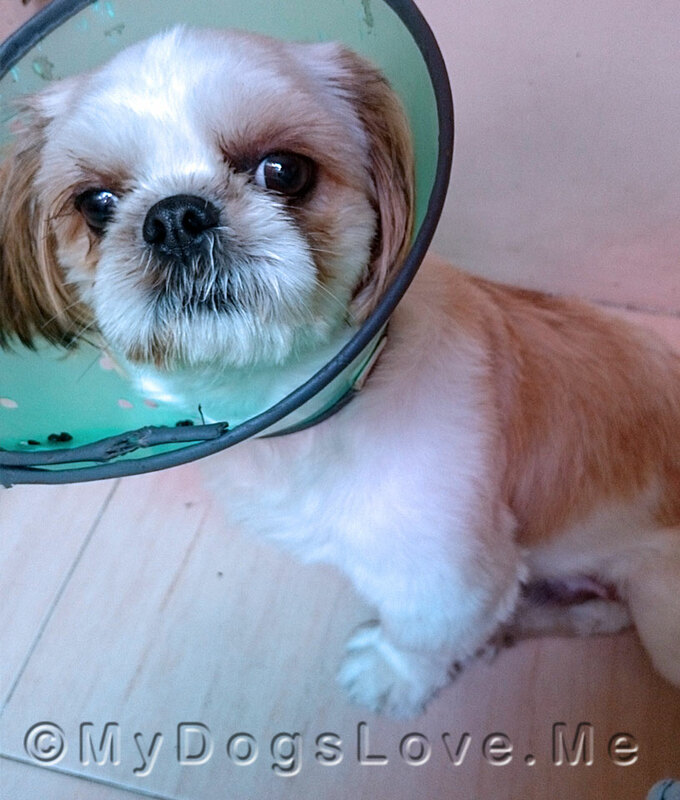 "But I love every part of me," says my cute little Shih Tzu boy. You'll be better off without them, sweety. We really believe it is up to the owner as long as they behave responsibly with dogs that are not neutered. Have a marvellous Monday. We got none around here! All pups here have been desexed. We don't miss out on anything and there aren't any little pups that could go to uncaring homes. I think it is great that you are showing both sides of the picture. I too believe it is a choice, but to be ready for the added responsibility that comes with staying intact and everything that comes with it. Awww, sweet boy, don't you look so much more handsome without those things? We certainly think so! Thank you so much for your kind words over our loss of Maxx. They are very much appreciated and are working magic toward healing our hearts. You certainly did a great job of talking about this issue, Haopee. We see so many strays come through the shelter ... people who choose not to spay and neuter need to realize that they have a huge responsibility to take extra care with their pets. We think Puppy Brown will be feeling better in a few days and we also strongly believe in spaying and neutering pets. Hey there Puppy Brown! I don't miss mine at all! And guess what? There are many places I can go now that I couldn't go with that extra "ahem"...like the dog park, many boarding facilities and, though there aren't any around these parts, day care. Those are all fun places.